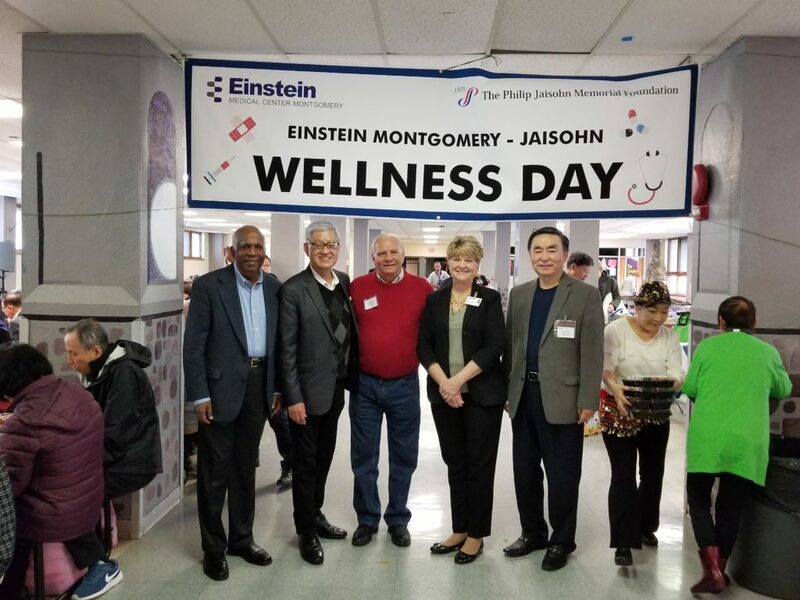 Senator Mensch participated in the 2018 Einstein Montgomery – Jaisohn Wellness Day event. The edition of the Mensch Report features Part 3 of our visit to the TriCounty Active Adult Center in Pottstown. You can check out Parts 1 and 2 here. Pennsylvania’s prescription assistance programs for older adults, PACE and PACENET, offer low-cost prescription medication to qualified residents, age 65 and older. I supported House Bill 270, now Act 87 of 2018, which sets new PACENET income limits. This legislation, effective immediately, provides a $4,000 increase for both single and married Pennsylvanians. Total income for a single individual can now be between $14,500 and $27,500, and total combined income for a married couple can now be between $17,700 and $35,500. For more information, visit https://www.aging.pa.gov/aging-services/prescriptions/Pages/default.aspx. 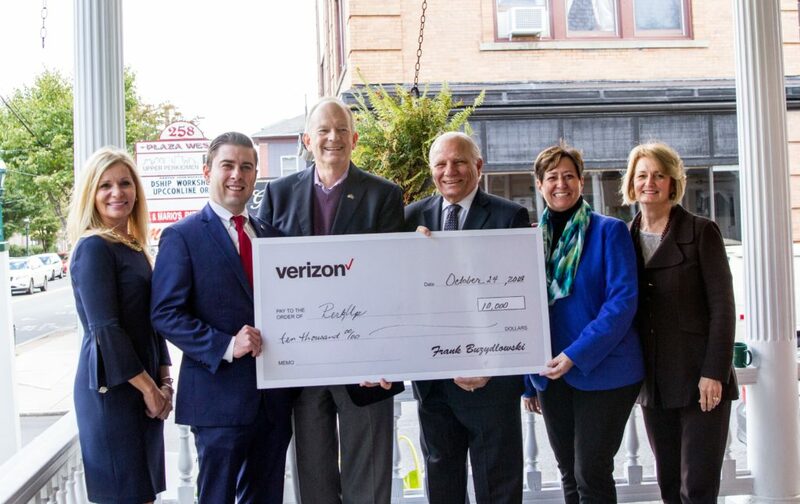 Senator Mensch joined PA State Rep. Marcy Toepel and PA State Rep. Justin Simmons and help present the 2018 Verizon Grant to PerkUp. The Low Income Home Energy Assistance Program (LIHEAP) program helps eligible families pay their heating bills in the form of a cash grant. Crisis grants also are for households in immediate danger of being without heat. With cash grants, a one-time payment is sent directly to the utility company/fuel provider, and will be credited on your bill. Cash grants range from $200 to $1,000 based on household size, income, and fuel type. For more information, and to review the income limits, visit http://www.dhs.pa.gov/citizens/heatingassistanceliheap/index.htm. My staff are also available to provide assistance to constituents who need help completing their application. 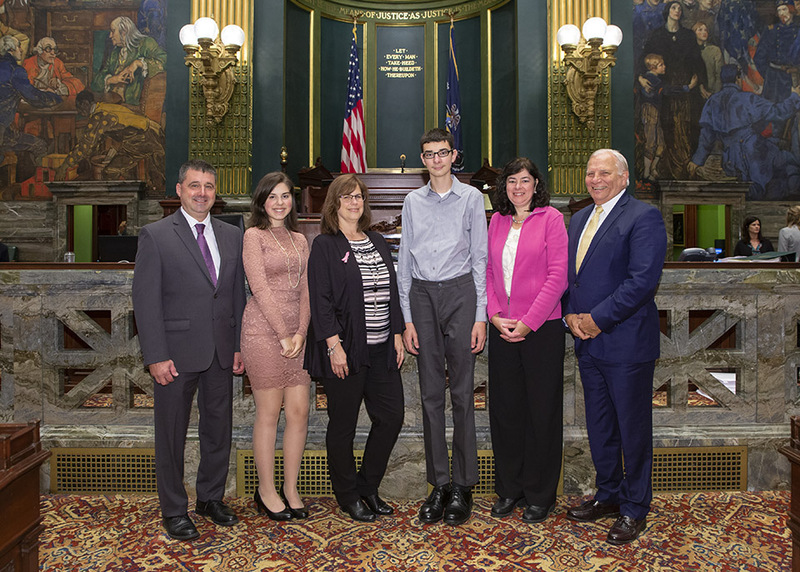 Senator Mensch was honored to host the PA Senate Guest Chaplain, Ryan Kiefer. Ryan was joined by his wife Erin and their three children: Chris, Seth and Neva. The most common natural disaster in the U.S. is flooding, according to the Federal Emergency Management Agency. One inch of water can cause $25,000 in uninsured flood damage to a house. A standard homeowner’s or renter’s insurance policy does not cover flood damages. FLOOD Smart offers a tool to view rising flood waters in a home and calculate corresponding damages. Twelve inches of flood waters can cause more than $72,000 in damages to a one-story, 2,500 square foot home. Get the “who, what, when, where, why, and how” to protecting your home and business and understanding the costs. Purchase flood insurance through a private insurance company or call the National Flood Insurance Program (NFIP) at 800-427-4661. 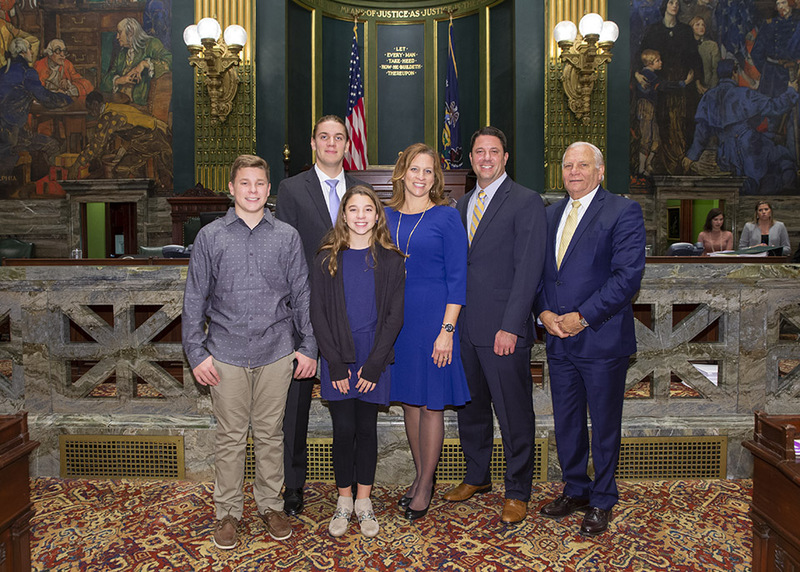 Senator Mensch was pleased to introduce the Hofke family to the PA Senate. Pennsylvanians passing through Transportation Security Administration (TSA) checkpoints at airports and those who enter secure federal buildings on or after October 1, 2020 will be required to obtain Real ID, according to the Pennsylvania Department of Transportation. U.S. citizens are encouraged to check their files for required documentation to obtain a Real ID. Upon collecting all original or certified records, they can be presented in advance to PennDOT for pre-verification, facilitating future fulfillment of the request. Doing so will allow you to opt into the Real ID program online and eliminate a return to a Driver License Center. Your Real ID product will be sent to you through the mail. 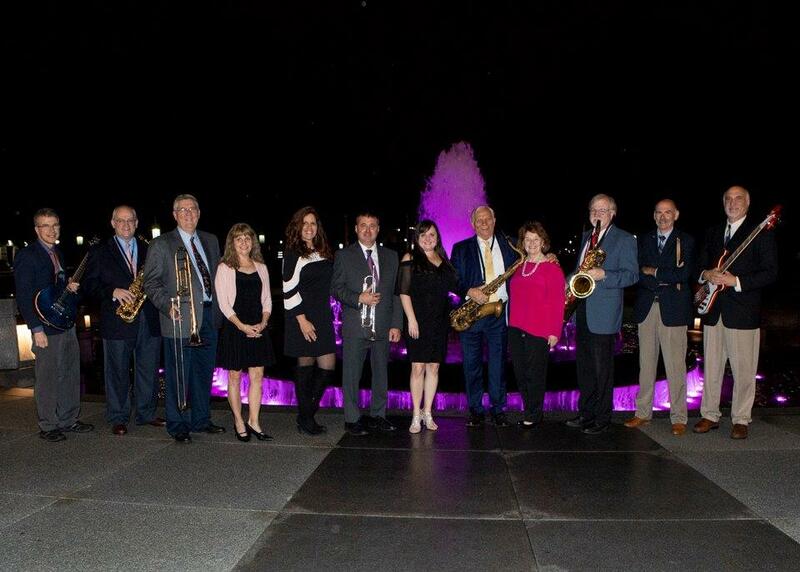 Senator Mensch held his annual Jazzing Up the Capitol event which helped raise funds and awareness for the PA Breast Cancer Coalition and the PA Prostate Cancer Coalition.